The Regina A. 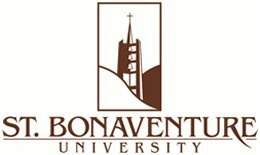 Quick Center for the Arts, at the St. Bonaventure University, 3261 W. State Road, St. Bonaventure, New York, features the University’s encyclopedic art collection and a performing arts series. Please stop by between 10 am and 5 pm, Monday to Friday or noon to 4 pm on Saturday and Sunday, admission is free to view this collection of important works. 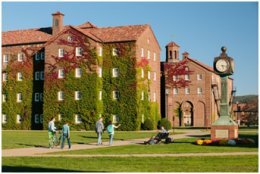 Visitors are invited to stroll the historic campus which is the nation’s first Franciscan University and ranked among the top 5 best college values. Tickets for the Performing Arts Series events are available by calling The Regina A. Quick Center Box Office at 716-375-2494.